With the start of my half-marathon training, I have had to readjust my running schedule. I usually run five days a week already – run Monday through Friday and have weekend free for rest days or more laid-back workouts such as long walks and hiking. With the importance of recovery for successful training, I switched to running on Mondays, Tuesdays, Wednesday, Fridays, and Saturdays, with strength and flexibility work on Thursdays. Saturdays are the days for my long runs. Most runners log their longest runs over the weekend, and this makes Saturday (or Sunday) breakfast all the more important. If you are like me and do your Saturday long runs first thing in the morning, breakfast must provide the necessary nutrients to properly refuel your glycogen stores and heal your muscles. Nutrition is important, but so is taste. My fiance and I have a tradition of whole-wheat pancakes and bacon on Saturday mornings, and I am not about to give up this tradition as I enter into the depths of training. 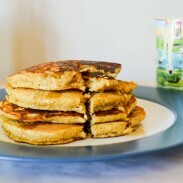 A leisurely breakfast of pancakes on Saturday mornings is such a treat after a busy week. After a long run, a sense of indulgence (even secretly healthy indulgence) is also necessary. I mean, I just ran 8, 10, 12 miles, and I do not want to pretend to be satisfied over a dainty bowl of yogurt and fruit or a shake of spinach and protein powder. I want carbs – but the healthy, whole wheat kind. I want sweet – but not enough to undo all the calories I just burned. 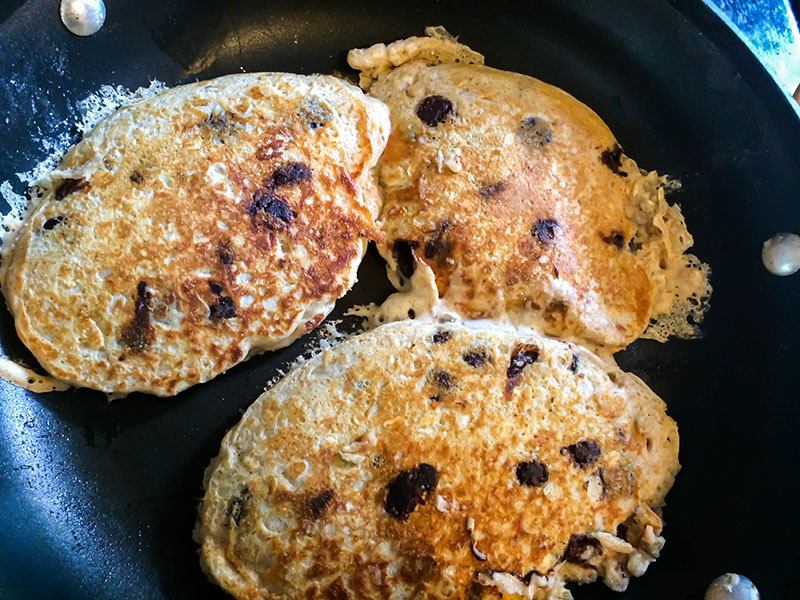 Enter this recipe: Greek Yogurt Chocolate Chip Oatmeal Pancakes. These pancakes are sweet but not sticky sweet, and they have such a beautiful golden brown color. 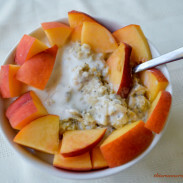 They need only a touch of maple syrup, since the yogurt provides a wonderful fluffy and smooth texture. 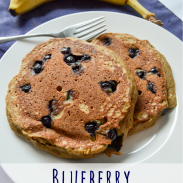 The protein from the Greek yogurt makes these pancakes more satisfying and helps repair muscles from a hard, long run. 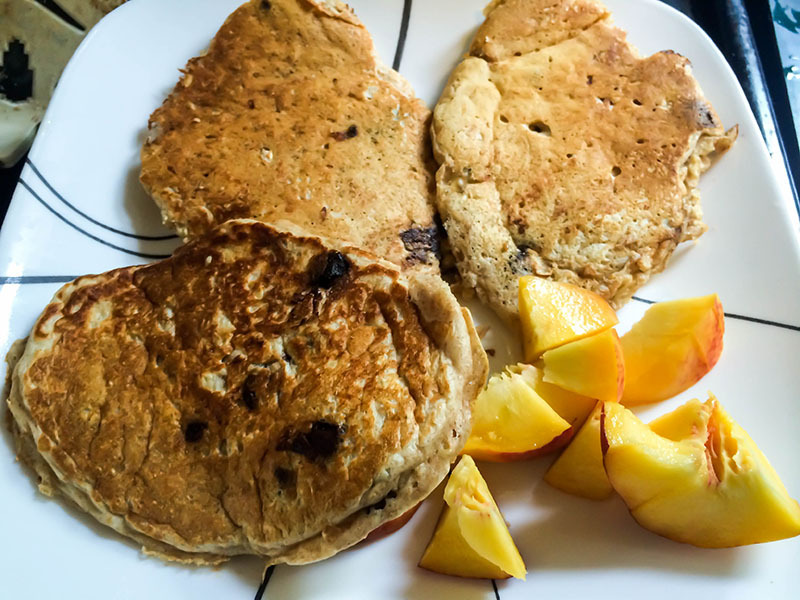 The oatmeal and whole wheat flour provide health carbs and fiber to refill your depleted carbohydrate stores and also keep you from having a sugar and carb crash an hour after eating these. The chocolate chips, if you use the dark variety like I do, offer antioxidants that help repair your skin from any potential damage from the two or so hours of sun you just got (also chocolate is delicious). I like to top them with banana, berries…and add a couple slices of bacon on the side. Because, come on, it’s the weekend, and bacon. 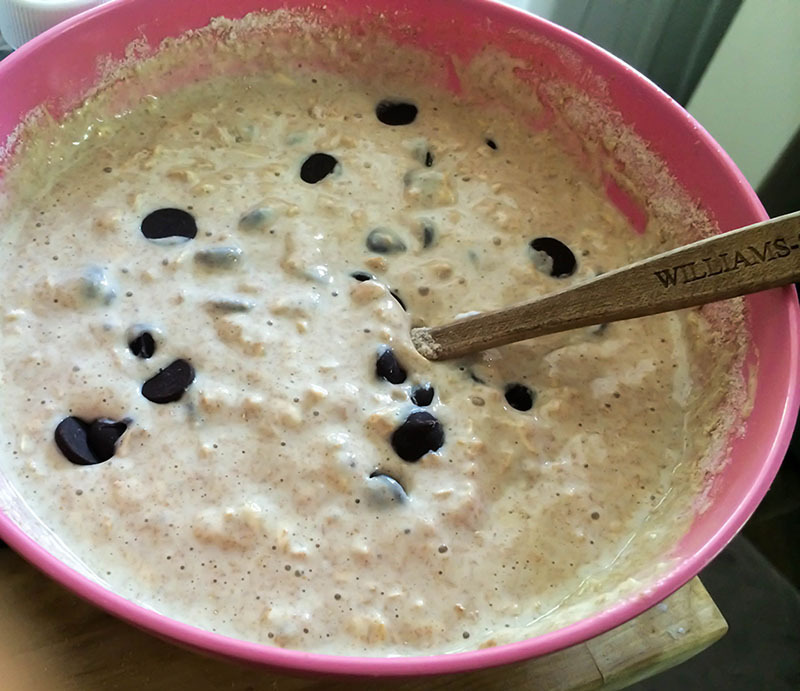 Combine the oats, flour, salt, and baking powder in a bowl. Add the milk and Greek yogurt; gently mix for a few stirs (do not fully combine the ingredients). Then add the egg, mix until just combined. Stir in the chocolate chips (be careful not to overmix). Heat a griddle or skillet over medium; melt a tiny bit of butter to coat the pan. Pour batter into pan - I like to use an ice cream scoop to distribute out the batter. 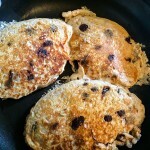 Flip the pancakes when they are firm around the edges and starting to bubble on the inside. Cook for a couple minutes on the other side, until golden brown. I always make six pancakes out of this recipe – three for each of us. Feel free to mix berries, bananas, applesauce, or more chocolate into the batter.